Xploree - Xploree’s, ‘Create Themes’, feature helps users create distinct themes for their keyboards. Create Stunning, Personalized Keyboard Themes with Images of Your Choice! Xploree AI Keyboard App endeavors to create features that wows our users. Our new release with the ‘Create Themes’ feature is no different. The new feature lets you become the ‘creator’. It enables you to select an image of your choice to create distinct visuals for your keyboard. 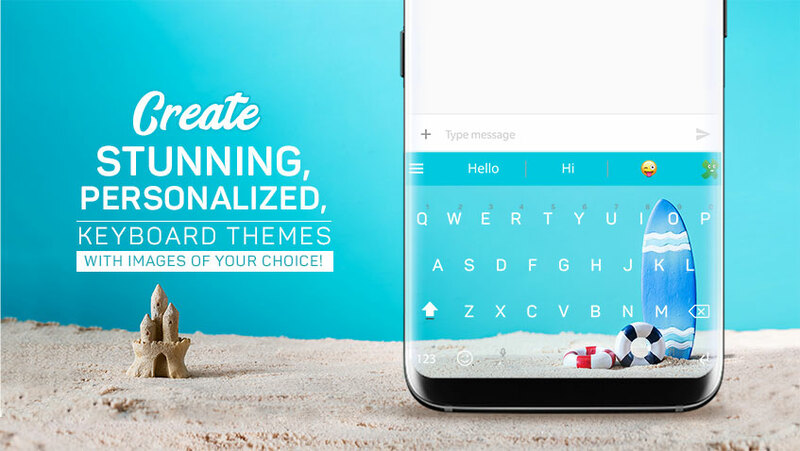 So, if you are in love with yourself or wish to express your love for a loved one, your pets, a celebrity or can’t get over the scenic natural beauty of a place, Xploree’s, ‘create themes’, feature helps you utilize that image as your keyboards background! Xploree is back with a bag full of goodies to appreciate and encourage users who are creatively inclined! All you need to do is download the world’s 1st AI Keyboard app, enable it, head to the Create Themes feature and start creating awe inspiring keyboard themes. Themes adjudged the best stand to win Cool Pad Smart Phones, Xploree Time Pieces and lots more. Existing users can visit the new feature and start creating. This ‘Open House Creative Challenge’ is exclusively for Xploree users. Users need to create themes and share the screen shot on our social handles to get acknowledged and rewarded! Selected themes will become part of the existing themes on Xploree for the world to acknowledge and appreciate, creative beauty! It’s time for you to pull out your creative hats and showcase to the world your intellectual creative side. What more? Get rewarded for the same! Each user can post a maximum of 3 themes, with couple lines about the latest feature and why you like it?